In this episode number 151, you are going to learn how to productize and systematize your business. We are going to achieve scale through marketing optimization and simplification. Our guest is Greg Hickman. 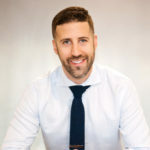 He is a marketing funnel strategist and the Founder of System.ly – a marketing automation consultancy working primarily with service providers, consultants, and coaches to productize their services and systematize their delivery. Greg’s work has been featured on the Huffington Post, Copyblogger, and many more. Greg, it’s great to have you on the show. First of all, let’s talk about how to escape from launches and from the one-to-one consulting and hunting for the next prospect. I actually have heard you speak before and I know this is a topic that’s near and dear to your heart. You want people to escape that grind and use systems to do that. Why don’t you talk a bit about that? For me, it all starts with simplification. We throw out the term productization a lot as well. I say that because most of the work that we do is with service providers, agency owners, not necessarily people that are just selling courses or whatnot, but there’s a hands-on component to the work that they do. They actually work with clients and we were one of them for a long time. We were in a situation where everything we do was custom and creating systems for things that are custom is hard. I don’t recommend you try it. We did and it was a disaster. You create documentation for literally everything you do in your business. You have thousands of documents that you never use because you never do the same thing over and over again because everything you do is custom. 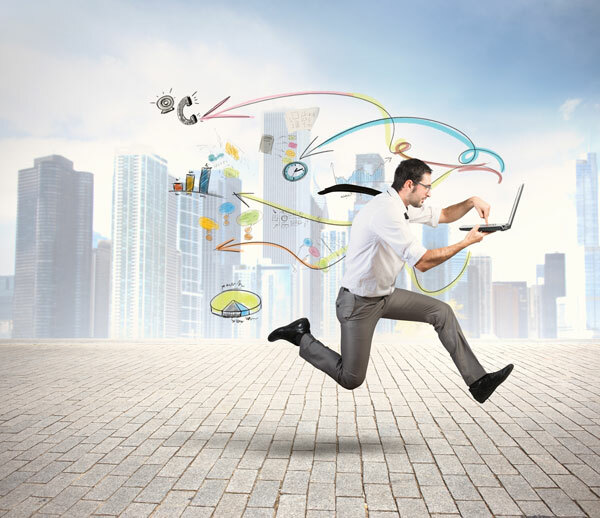 The effort to simplify or productize has become the catalyst for growth, for predictability, for profitability and the ability to create few systems that can give us the most leverage as the owner. A lot of the people that we deal with, they’re the only person in the company or they have a small team. What ends up happening is the new client comes in, Greg goes into fulfillment delivery mode and while Greg is doing that, all sales and marketing stop. You’re jumping back and forth. Usually what that leads to from any business owners is that up and down roller coaster of revenue, “I’m done with this project. Now, I’ve got to go hunt for the next prospect because I have no systems that are helping me bring leads in.” It’s feast or famine. I came to a realization that the problem is as business owners, we often get stuck in the fulfillment of the delivery of the thing that we do, so much that we’re not selling. When we see that Facebook ad or whatever ad that’s like, “We’ll bring you more leads, here’s how to use Facebook ads, you need a webinar funnel,” that sounds appealing. At the surface level, it’s like, “When I’m done with this project, I won’t need to go hunt for the new lead because I’ll have the webinar, I have the thing,” so it sounds appealing. What we realized very painfully and a lot of our clients have realized is you do need that system but for most service businesses, agencies, people like that, it’s not the first thing that you need to do. What ends up happening is now you have this system going but you can’t say yes to any of those clients because you have no bandwidth to actually serve them. Often, we get stuck in the fulfillment and the delivery of what we do that we forget to sell. It sounds like there are a couple of things that you need to do. One is when you simplify, you need to stop taking everybody and say no to a lot of the opportunities and focus on the things that are going to be repeatable and duplicatable. You also need to take the things that you decide that you’re going to continue with and productize and systematize those so that they can scale better than they do now. What is the secret or process to productizing something once you’ve simplified down to one, two or three core products, core services and you let go of all the rest, all the custom stuff? What’s the secret to productizing and turning this into a scalable system? We could talk about that for 90 days but I’ll extract some high-level things. We created this process that we take our clients through, it’s called Extractor Expertise. When you go through this process you come up with what I’ll call your proprietary process. It’s the, “Here’s how I solve my ideal client’s problem and give them the result that they want.” That turns into what we call the signature service. It is your go-to process for solving your client’s specific problem. Depending upon what that looks like, your signature service either becomes your flagship service offering in and of itself. Sometimes depending upon what our clients do, you can divide it up either into two or three different packages that complement each other that allow clients to come in different areas. That’s how you end up with twelve to fourteen-hour workdays. There are certain business models, like this custom done for you stuff that are difficult unless you’re charging a lot of money and working with only a few clients. That’s hard especially if you lose one, the opportunity goes away quickly. You need to understand what you are trying to achieve. Often it’s understanding that your business is supposed to serve you not the other way around. Your business is service but design it in a way where you can serve people and in a way where your business works for you instead of you working for your business. If you don’t have that clarity, it’s easy to jump into these models where we just say yes to everything. What do you envision? Your business is service but design it in a way where you can serve people and in a way where your business works for you instead of you working for your business. The second is what sort of money are you making in your business? What sort of money are you taking home? I know a lot of business owners that do seven figures and they still walk away with only $100,000 a year. That doesn’t sound appealing to me, seeing how much they’re generating but how much they keep. A lot of people talk about, “We’re doing X in revenue but we don’t talk about profit.” You could have a $10 million a year business with very little profitability and you could have $500,000 business with a lot of profitability. Depending upon who you are, you might take less revenue from more profit. I totally relate to that because with my previous agency we got up to over $6 million in revenue. I was only paying myself a few hundred thousand dollars. All the money was going back into the business and I was not maximizing my own income. I’ve never got around to that, I eventually sold the business, and then the opportunity is gone because the business is gone. That opportunity to maximize my income, I should have been thinking about the whole time instead of just maximizing revenue alone. It’s understanding what sort of business you want from a revenue perspective. Really start to refine what type of business models are appropriate for you, which leads to other questions like what sort of team do you want? You probably already know this and I harp on a lot that for some reason there are businesses out there, course creators, the information business, which if you do it right can be a great business. I don’t think a lot of people that are true service providers are teed up to make the most of that opportunity. You have to ask yourself, “What do you want your team to look like? What do you want your culture to look like?” If you come on and say, “I’m cool with only doing $250,000 a year,” you can probably do that with a VA or a couple, one or two contractors part-time. If you’re saying like, “I want to go seven figures. I’m going to go eight figures.” There’s no way that I’ve seen where you won’t be burnt out doing it without some type of team, especially some full-time team. It’s so much more fun to do it together at least. I like the enjoyment out of having a team and I think a lot of people have this negative view on the team. What do you want your team to look like? How many people does this team have? Are you guys all remote? Are you in an office? What’s your culture look like? Some of those things are important on the impact to your business model and your plan to grow. Possibly even how you deliver the service that you deliver. There are certain things that I would love to do more frequently in our office but our team is fully remote. In order to pull that off, I don’t need to fly my team here way more frequently than probably makes financial sense or we need to start building out a couple of more key people here. Those are questions that you need to ask yourself. Then you need to ask, “What does my product service offering look like? What do I love doing? What do I hate doing? What am I good at?” Asking those questions all before you ask, “Who should I work with?” You should ask all those other four questions before you get to your ideal client because you should have an ideal client that wants and needs the things that you want to be doing. More often than not, it is a possibility that we start backward. We go into these markets and we get clients. There are a couple of franchise locations, I’ve got a makeup artist, I’ve got a software eCom company, I’ve got a couple of agencies, I’ve got a lawyer, and it’s all because that was just who came to them and they had to say yes. That idea applies in so many different areas. For example, I pitched to speak at conferences. What I was doing before is just thinking about how I can add value for people. I create pitches and session abstracts around those topics and then get speaking gigs. It sounds great except I wouldn’t get nearly as many leads as I was hoping for by doing that. Then I pitched at Pubcon which I got in and I’ll be speaking soon, the exact session that would be full of my ideal target audience. I’m like, “Why did I not do this before? Why, for the last eight, nine years that I’ve been speaking at Pubcon, did I not think to just pitch only the exact session that would be full of my exact target audience?” I got in and I got the exact session I wanted. People were like, “You were able to do this because you had all these connections.” I hear that a lot because I thankfully have some awesome friends that became my clients early on in our business, System.ly. They failed to remember that for three years before that, I had a completely different business where I was constantly hitting my head against the wall. We did mobile marketing and I came out of a big retail company, we were trying to do mobile marketing. I knew who I wanted to work with. I want to work with all of these online business owners and none of them are capitalizing on this mobile opportunity. I’m just inspired by them. I went to the New Media Expo. I met Pat Flynn, John Lee Dumas, Amy Porterfield, and I became friends with all of them. I got on their podcast because nobody’s talking about mobile, we need to hear about this, it’s getting big. We don’t know anything about it. You’re the expert. Be the expert on our show. I’m getting out on these audiences. I’m getting awareness. They know my name, mobile is the thing. I’d love to work with Amy and Pat as my clients and those types of people. I don’t want to work with small retail companies anymore but I had nothing to offer them. There was no mobile service offering that I was an expert in that I could give them that they needed right now. I was in this position where I was so in love with mobile as the solution. I was so in love with who I wanted to serve but I didn’t know what their real problem was. When I found it out, the solution wasn’t mobile and it took me a while to figure it out. I spoke at a lot of conferences. I spoke probably 30 times in a year and a half at all of the wrong conferences to not get any clients in this mobile business. Don’t build your business around the market just because someone tells you there’s a huge opportunity. It hit me where I’m at the point where I’m selling to people I don’t want to be selling to, which are retail companies because those are the people that are talking about mobile yet they don’t even really want it. There were long sales cycles and I was like, “If I could work with someone like John Lee Dumas, what would they need? I’m using Infusionsoft, he uses Infusionsoft. I actually am fascinated by marketing automation. I’m actually pretty decent at it.” I learned more about it and then I went to him and I said, “Can I do this stuff for you?” He was one of my first clients. Why that makes sense is I went three years sitting in front of my ideal client but having nothing to offer them because I was trying to force a solution down their throat that they didn’t need. I had some of those pieces, I knew exactly who I wanted to serve, they just didn’t need what I was serving. We spend so much time going after the market because apparently, that’s where the money is. I could have spent another decade going after retail companies on mobile. It’s easy. They’re just starting to pick up on it and I’m X of years out of the mobile space. Don’t build your business around the market just because someone tells you there’s a huge opportunity, especially if it’s working with people that you don’t care about. If you’re not passionate about it, it’s a waste of your time. The second it gets hard, you’re going to bail. All of that is to simplify what do we do. With the productization part, your product can’t be yes. It needs to be result-driven and outcome-driven. It can’t be, “Here’s the proposal and we’re working X hours on these things,” which is just deliverable. It needs to be, “When we go through our process, this is the actual outcome that you’re going to get.” It’s creating solutions around solving problems versus giving clients a menu of services and letting them pick all of the tactile things that they currently don’t have in-house to Band-Aid getting the solution that they want by just directing you to do the work, which is what a lot of agencies become. “We do all these things,” and you present a proposal and they’re like, “That’s a little bit more expensive. How about you remove these three things?” You didn’t offer them a solution, they took what they wanted from you and now you have to go deliver this thing and out of the gates they have control. Out of the gates, they’re the ones dictating what happens and that’s usually what leads to scope creep. That’s usually what leads to the lack of profitability, devaluing yourself, losing money, all those things. How do you say, “I’m going to package up these maybe one or two things that I’m really good at that I know when you do them together, it gets a specific result?” An example, one from us and I’ll give one from a client, our first iteration was a lot of the custom work we’re doing were building out webinar funnels. I think there are a lot of people out there that need webinar funnels and a lot of people that we’d like to work with, helping them build webinar funnels. We went out saying, “We have this new offer where it’s X dollars and at the end, you launch your new live or evergreen webinar funnel.” We sold it for more than we would have if we just tried to do it hourly in our other plan, which gave us huge spikes in our cashflow. People knew exactly what they were getting. The sale was easy. The sales cycle was short, one or two calls. We became known for that thing, which creates demand, which makes people coming to organically where you don’t need to spend money. It makes marketing easier, it makes fulfillment easier, it makes hiring easier by saying, “We build webinars funnels for online course creators,” that’s what it started out as. By even just creating that package, my marketing became a spear instead of a fishing net in the entire ocean. An example with one of our clients, his name is Mehrab. He came out of a company that’s between eight and ten figures. He was their marketing go-to guy and he wanted to break out on his own. He was connected to the entire market of online marketers, coaches, consultants, that whole space and he knew way more than most of them. He could have easily gone and tried to compete in a market where there are tons of other people charging way less and he’d be one man on a mountain of many. When we dove deep and started extracting his expertise, we came to realize that the people that need his offer the most and that he enjoyed working with were those really obscure businesses. They came to them and they were a subject matter expert on a particular thing that wasn’t marketing. They’re actually successful but they’re capped. Maybe they’re doing a $1 million a year, they should be doing $10 million and they know it but they’re lacking the marketing stuff and that’s what he knows. He created a package around specific marketing initiatives for these interesting rare subject matter experts and he uses messaging around that. When we started working with him it was maybe the last one or two weeks of August. 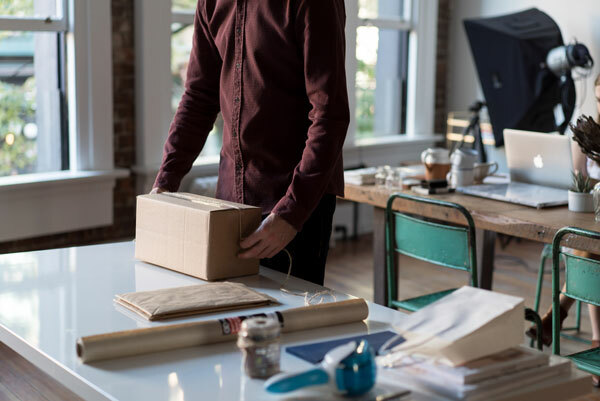 While having a baby, he did $60,000 in revenue in the first ten days of July by knowing exactly who he wanted to serve with the packages that he was capable of delivering really just trimmed down to a specific deliverable and result. When you have that amount of clarity and control and you can say, “You probably experienced these things, I can solve that with this process of mine,” then the sale becomes more of like, “Do you need it? Can I help you? Is it a good fit? Awesome, let’s get started.” It eliminates proposals, all that back and forth, and all of that whittling down of the proposal that you sent that inherently just puts the client in control from the get-go. They cherry-pick you and you lose your profit margin. That’s what happened to us. We were selling these retainer-based relationships and the next logical step is to hire one more person. That person can manage X number of clients. The path to growth is for every X clients, I need a new person. That doesn’t sound like what I want to do. We start looking at the numbers and six of these ten clients, we’re actually losing money on, bleeding us dry. With those six clients, our teams were spending about 80% of our bandwidth on those clients. If we just sell one of these new packages that we’ve been selling, it can wipe out all six of the ones that are killing us. That was the a-ha moment. Our math is off. We don’t truly know the costs to fulfill because it changes every time. That’s why proposals usually stink is because it’s a custom thing. Every time you’re making these educated guesses, the slightest derailment of scope creep totally puts you in the negative. When you constantly deliver the same thing over and over again you can actually develop a system to deliver it with leverage where you actually have that freedom, where you can maintain those margins, and get really good at delivering something that you do it efficiently. That’s where the growth potential comes in. Once we did the math, that’s when we realized that one new client over here replaces six and we get our time back, “It’s a no-brainer, let’s go.” From there, we grew rapidly. When you constantly deliver the same thing over and over again, you can actually develop a system to deliver it with leverage where you have that freedom to maintain those margins. 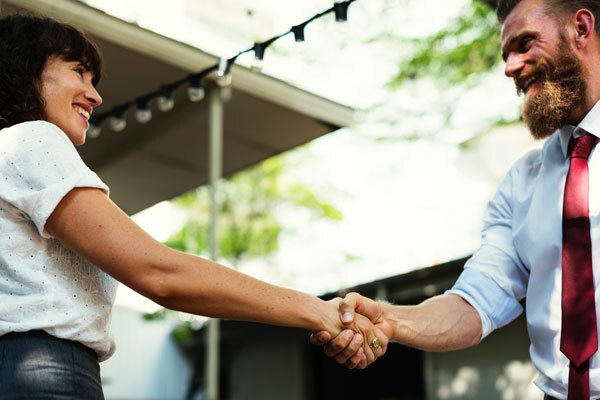 I have a situation that sounds quite familiar here because I have a retainer-based relationship with my clients and it’s very much deliverable-focused. In fact, I even say it’s about a deliverable a month and we do regular calls. There are some things around that, implementation, oversight and so forth but the main thing is a deliverable a month whether it’s a technical audit or a content audit or let’s say a link building strategy or keyword strategy. It’s not connected enough to the result. It’s not result-driven as you are describing. What would you tell me to do in my situation then? Take a specific example with me and give me the prescription for success here. This is where some people get this notion of productization wrong is like, “This package you get X hours, this package you get X hours, in this package you get X deliverables or X units.” It’s an okay place to start. We were there at one point too. What I find ends up happening is while you have it pretty contained, people start cherry picking the little logistics. I need more than five calls but I don’t need ten, so your next package is ten. They get hung up on the how it’s delivered versus actually getting the result. I think when we structure our offerings that way, it seems nice when it’s like one campaign per month. What happens when they don’t need a campaign that month or that campaign is overwhelming them now? Now there are twelve campaigns a year. Do you even need twelve campaigns? Most of the businesses that I know that have gotten to over $1 million have one funnel. Imagine if I was like, “We’re going to launch one new funnel a month.” It’s a waste of time. I went down that very waste of time path because I hired a guy who helped me build out or set up funnels and Infusionsoft and did all of this stuff. His idea was to do a different online course each month. Let’s do a live webinar that matches the topic of this online course. It won’t be too overwhelming of a course so you’ll be able to produce it in each month and then we’ll sell the membership site as this huge benefit where you get a new course every month. You want to be part of the membership site so you can get all that great new content. People can enter the funnel by attending the webinar and buying that first related information product. I did that for six months and it was exhausting. I did not massively increase the size of my membership base because of this. I just had a huge ton of work on my hands that made it hard for me to focus on my core business because I was doing all these courses. I think it’s what the client cares more about, solving the problem or achieving a specific result or the actual deliverables that they’re getting. I think too often we are creating our packages around X campaigns or X calls as an example. When we do that, we actually are the reason why the client has disconnected from the actual result of, say in this example, achieving $1 million a year. If they want that million bad enough and they’re willing to do and take your guidance, it shouldn’t matter if it’s ten calls or one campaign a month. If someone said, “We know that it’s one campaign a month,” then you’re going to do the one campaign a month. They only will do that if they’re tied to the result. I think sometimes you just got to go back and reconnect your client with the actual thing that they want and be like, “I know we said it was a unit per month. What if I can get you there in ten fewer units, how about we do less and make more?” All of this comes down to, “Let’s do less but more of the stuff that is actually important that’s going to get them the result.” When you package up your offer, the outcomes or the results that they get from those offers should move them closer if not get them to the result that they’re looking for. How are you pricing your productized services based on the result? We have two programs and the first one is 90 days and it’s all about laying the foundations for everything we’ve been talking about. People want the funnels, they want the webinars, they want all of that stuff, but there’s a handful of things preventing them from that. It all starts with the game plan. We help them go through a process that we’ve created that gets them to their productized result. 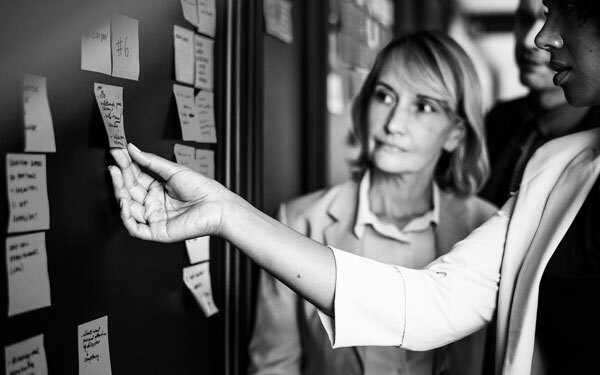 Now, you have clarity on what the thing is that you should be delivering and once we have that, we can help them turn that into a product plan. Maybe it’s one offer, maybe it’s a front end and a back end, maybe it’s three packages that are all available up front. It really depends on the client. Based on what numbers they want to hit and what style of business and culture and team they want, we help them get a clearer perspective of the type of business model and team that you’re going to need to deliver this to achieve that number that you want. We go back and forth on that a little bit. Everyone talks about scale. The problem is we need to be scalable before we can scale. As an example, most of the clients that come to us, more often than not, they’re low to mid-six figures and they want to get to seven. The structure that they currently have will not allow for that. We need to pare down, productize and put together the game plan so that we can scale back up. Once we have the foundation in, usually they’ll go in and recoup their investment multiple folds over and then it’s like, “Now we’ve got to start deploying a lot more systems. You’ve got to start hiring some people, onboarding those people,” which is, A.) Tough to do in a course where I just try to teach you how to do it because you’ll never actually do it and B.) Tough to do in a 30-day period. You took that process that you described earlier, extract your expertise, and then turn that into a signature service. You’ve done that for your clients with the service that you just described. How do you scale that for let’s say 1,000 businesses, if you’ve got let’s say 100 clients now and you want to scale 2,000 or if you’ve got 1,000 clients now and you want to scale out to 10,000? Is it fully scalable? It sounds like you’ve got a little bit of one-on-one in there, whether it’s in the workshop environments or what but it doesn’t sound like it’s super scalable to millions of people. We don’t need it to be. I don’t need a million clients nor do I want a million clients. Our result is getting a smaller number of people to million-dollar businesses. How we’re impacting the world is through our clients. I can’t impact a million people alone, but if I can help my client impact a few hundred thousand and then another client a few hundred thousand and through us helping them serve more of their client, we’ve now impacted a lot of people. I want our clients to be able to serve more clients and when we start working with a few hundred clients a year, we will achieve that. In doing so, we can also be a multiple seven-figure business ourselves and arguably even an eight-figure business. That goes back to the beginning. I don’t want a lot of clients. I want in the hundreds, not thousands. Over the course of my lifetime, we’ll have thousands. In a given year, we’re probably working with somewhere between maybe ten to 30 clients a month in our 90-day experience and rolling up into the point where we have maybe a couple hundred in our twelve-month, 300 in our twelve-month. I think we could get to that number and be a ten-figure business. That sounds like a good idea an eight-figure business, like ten million. Back to what we are charging, the results we are creating, the impact we want and how big we want that impact to be, I have a mentor of mine who has a team of seven people with a couple of contractors and they’re close to an eight-figure a year business. They have a couple of hundred clients on an annual commitment and then they have a couple of other lower level things that have hundreds going through every couple of months. They built up to that. Back to coming out of this experience, maybe we have these three packages. The best way for you to get there might be to only focus on one of those for the next twelve months. I talked about this a lot, it’s not my own IP or anything. Clay Collins, he was interviewed and he basically said, “The fastest way for any business to get to seven figures is to focus on one target market, essentially one avatar, with one offer, dialing in one conversion method, using one traffic source and do that for one year. That is the fastest way for any business to get to a million dollars.” When I heard that, we were already on the path to productizing, but we productized even more and we went down to one offer, which is our 90-day program. I heard that in February of 2017, and so we launched the beta version of what is now our flagship program called Foundations around late February of 2017. We brought in a couple of people, took a handful of months off from selling, and by December we had our first six-figure sales month and put ourselves on the million-dollar run rate. Have you heard of the book, The One Thing? 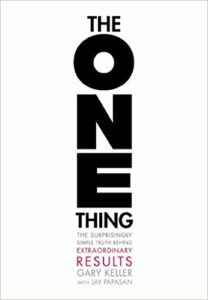 I love the book The One Thing and Essentialism. They’re like these sister books. You’ve got this process where you extract expertise and you turn that into a signature service. When you were talking about that, that reminded me of this particular method I learned from Taki Moore but he learned it from Matt Church and that is pink sheets. Are you familiar with that? Taki is one of my coaches. Yes, I’m very familiar with pink sheets. I’m curious, who’s the coach that you referred to that’s only got seven people working for him? Was it Taki? It was at the time but he has more now. It’s a team of ten or twelve people just in the Philippines. He has a handful of US-based people. His sales team is US-based. I actually don’t know exactly where his revenue is at now but I if you ran some rough numbers, he’s mid-seven figures for sure with a team definitely under the size of twenty. Taki is great and I was in his Black Belt Program for a while. It’s really great. Are you having a good experience with it? I love it. He’s one of the best teachers that I’ve ever seen. He’s just so relatable and easygoing and so smart. It’s a great community he’s built up. There are lots of systems and lots of team competencies that surround him so he can take just a blank sheet of paper. He takes this big sheet of butcher paper and big marker and then just starts drawing something and then he hands it over to somebody and takes a picture of it and sends it to somebody on his team and they turn it into a landing page or into a product or into a seminar. Here’s the thing too. I fell in love with analog and my team hates me because I made them change project management tools fifteen times until they realized, “Greg hates the project management tools. He sends pictures of sticky notes and then the team puts it in whatever freaking project management tool they want.” That’s how we operate. I literally send photos of sticky notes. Once I learned that from Taki, that was hindering me in the beginning and I’m just like, “There’s just another way around this.” Here’s how you create a system to support how Greg thinks best which is what he was doing. Big kudos to him on that. The thing that I think is interesting there though is there is no course or whatever that you would learn how to be able to do that in even 60 days. That’s a thing that as you build your team, as you iron out and grow your business, these are systems and things that get created by growing the business. This is why Black Belt is a twelve-month program. That’s why I want to get the foundations in place so that I can work with you for the course of a year because there are tons of systems that I know you’re going to need probably in month four that you don’t need right now. I don’t want to hold those back and say, “You’ve got to spend X dollars now and then come back.” Let’s commit to growing your business together because I want to give you as much of me as possible. Let’s go all in on this because you’re not going to find your solution delivered to you on a platter in 30 days, which is what a lot of people need. When it comes to systemizing your business and growth and bringing people on, you just have to understand that that’s a process that comes with time. Only by going through some of those motions do these systems even evolve. We always say the word system. There are some fundamental systems that can apply to most businesses but when you get into how the owner works at his genius like Taki, you expose yourself to holes that need to be filled with a system. That system might only be relevant for him. It might not be any tech either. It might be just as simple as butcher paper. I say system and I look at it like process, people, structure, then automation and software. Automated means technology. If I’m not the one doing it, that’s automated to me. You can automate things with people. You can make their lives easier with software and automation, but as long as you are not the person doing it, for all you know it’s automated. If that’s a person doing it, that’s automated. Just like with delegation, people think, “I need to delegate to a person.” That is one path and actually, I would argue that you shouldn’t delegate to a person, you should delegate to a role. When you delegate to a person, you’re trying to match a role to someone’s specific skill set. When you delegate to a role, the role should have certain skills to achieve the role. You can also delegate through a process. One thing that I learned from Trivinia Barber on a previous episode is to delegate the outcome rather than the task. That was a key distinction too. Entrepreneurship is you become a professional problem solver. For me, the fun part about it is as we build with you, we see new holes and gaps and places for a system to come to be. That might not be relevant for every other business that looks just like you, but because of how you and your team operate, here’s the system. There are some fundamentals obviously as always but that’s why some of this stuff just takes time. It’s just creating a whole bunch of pink sheets, which we haven’t defined for our readers so they have no idea what we’re talking about with pink sheets. Just creating a little library of those so that you can pull from those to create your next webinar or your next book or even just one sheet, that’s all a lot of work. For the people who are still in the dark on a pink sheet, it was one of Taki’s coaches that he learned from Matt Church. Imagine there’s a piece of paper that when you fill it out, you can hand it to someone and everything starts to move. You understand why that thing is important. You understand how to articulate it, what it’s solving, what are potentially the next few action steps that are required to get that result, what success looks like and what failure looks like. 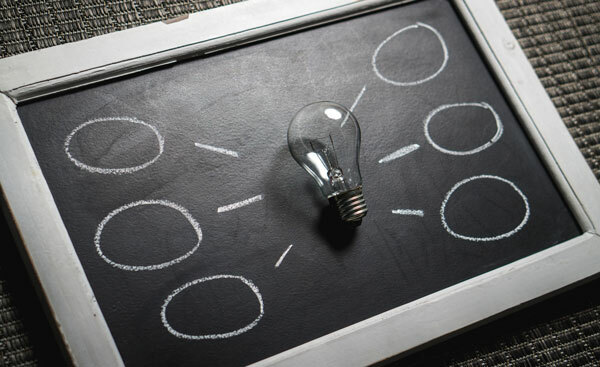 Most of us don’t spend the time thinking those things through which leads to, “Team, I have this idea,” and it’s like throwing a wrench into a spinning wheel constantly derailing the team. It makes us as owners think, “Why am I asking this thing? Why are we doing this initiative?” and putting around some parameters that will even make it successful if it works. I want to ask you a couple of key questions. What are your favorite tools? What are your favorite funnels? We talked about one being webinar funnel, but we didn’t describe how that looks. I think selling over the phone is the best. All of our clients sell over the phone, which comes with a certain price point but most service providers sell over the phone. Webinar into an application like consultation funnel is hands down the best when done right. Usually, most people do the webinar part wrong. Any way to get someone into a consultation is what I believe to be the best. There are sometimes shorter paths. It’s getting the most qualified lead. If you can get someone to watch 60 to 90 minutes of your content and then they still get on the phone with you, that’s a good sign. Would that be a particular type of webinar? Would it be evergreen or would it be live? Would it be 60 minutes with 30 minutes of Q and A? Is that Q and A recorded or live? Yes. With our clients, we give them a specific framework for the conversation that can usually be within 60 minutes. Live has its place. It’s not an either or, it’s when do you use which. For most service businesses, they should have some form of evergreen webinar running and available all the time. Periodically throughout the year, once a month, once a quarter or if you’re testing new initiatives, do live and invite your email list, drive traffic to it. It’s not like an either or. For most service providers, you’re not selling something direct so it’s going to have to be over the phone. Having an evergreen makes a lot of sense because you’re not pitching anything other than, “If this sounds like it’s going to help you, let’s get on the phone together. Here’s how you get on the phone.” It works really well. That’s my opinion. You said tool or did you actually say software? Tools, it could be software, it could actually be butcher paper or whatever. One that I’m personally loving right now is Todoist. Our team has even started using it. It just captures to do tasks. I do it for personal and for work. I’m like, “I don’t want to forget to do that thing.” To be honest, the thing that has changed my life and my business is going back to a pen and a notepad for managing my week, my to-do list, my big initiatives. Every morning, I go either to a coffee shop or in my kitchen before the kids are up and I literally write my intentions. I rewrite my goals, I rewrite what I need to get done that day, and it’s all on paper and it’s hands down the best thing that I’ve ever done. There are so many great resources on my other podcast in relation to this. There is an episode on non-dominant handwriting to access the right hemisphere of your brain. There’s a productivity episode from Mike Vardy and from David Allen and so forth. There’s so much great stuff over in the Optimized Geek. Just to wrap up for our audience, how do they find you, Greg, to work with you and get that 90-day program going for them and transform their business? Most of you are just probably hearing of me right now, it would make sense for you to watch our training as you already know it’s on demand. It’s at System.ly/webinar. It’s 62 minutes long. Yes, it is evergreen but it is very interactive. You’re going to download a workbook and you’re going to be drawing some stuff. We’re going to break down our method, our model. Check that out. After you watch that and you feel like I was speaking right to you, we invite you to get on the phone with us. There’s no hard sell or anything like that. If we can help you, we’re going to share how and if we can’t, we’ll be the first to tell you. I would say go watch that first, feel me out a little bit, and you’ll know if it’s for you or not. Thank you so much, Greg. This is enlightening and inspiring and I hope now that our audience is inspired to go watch that webinar. I just want to take a moment to give you a special announcement. On this very show, Marketing Speak, on November 7th, we have a very special guest. It’s Seth Godin. We’ve already conducted the interview. It was incredible. I’m very excited for this episode to air on November 7th. Make sure to mark it on your calendar and let me know what you think after you hear it. Thank you and we’ll catch you on the next episode of Marketing Speak. ☑ Don’t overcomplicate things. Simplify my process and focus on my core product or service. ☑ Stop saying yes to everything. Concentrate on things that are repeatable and duplicatable. ☑ Define the type of business model that will work for me. Having clarity on this will allow me to create a culture and a team that shares the same goals and visions. ☑ Don’t follow the market hype but follow my passion. Invest my time and effort into where I truly find my purpose. ☑ Strive to be consistent with the product I deliver and constantly look for ways to develop a system around it so I can scale it efficiently. ☑ Be flexible. If something isn’t working, have the audacity to drop it and shift to what’s driving the result and value. ☑ Have an honest and clear communication with my client. Allow them to be specific with what they want while also educating them what’s working and what isn’t. ☑ Utilize powerful marketing optimization tools but don’t forget that the best tool is still picking up that phone and having a conversation. ☑ Set daily intentions by writing down my goals. Download Todoist to help me manage my daily, weekly and future tasks effectively. ☑ Make sure to check out Greg’s training at System.ly/webinar to learn more how I can productize and systematize my business today. 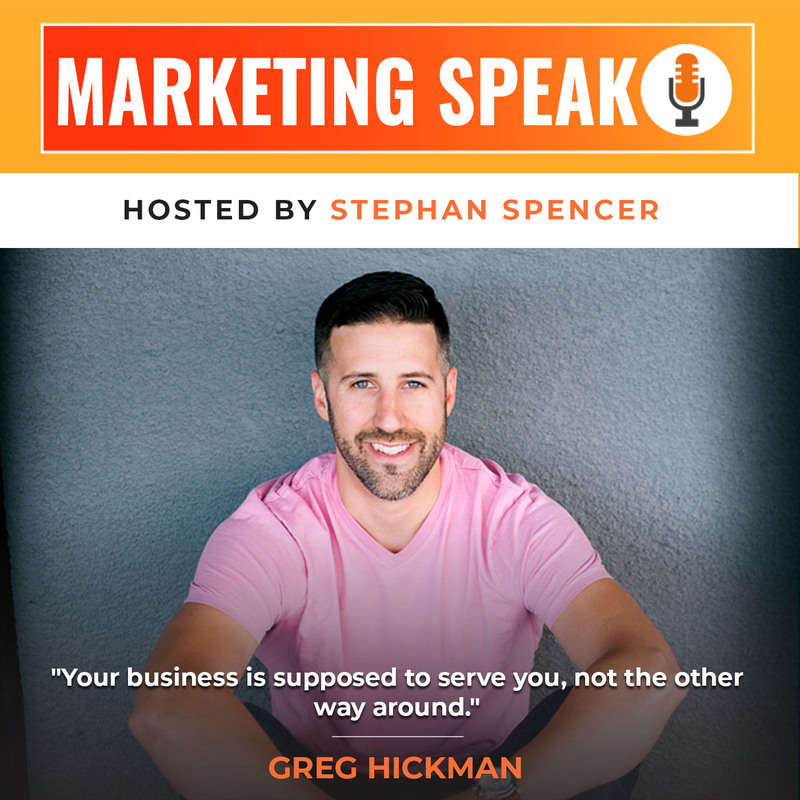 Greg Hickman is a marketing funnel strategist and founder of System.ly, a marketing automation consultancy working primarily with service providers, consultants and coaches to productize their services and systemize their delivery. Greg has helped implement systems for businesses such as Entrepreneur on Fire, Jon Loomer, Chris Ducker, Nerd Fitness and and other market leaders. He’s a blogger, podcaster, speaker and his work has been featured on Huffington Post, Copyblogger, Social Media Examiner, Business.com and more.